This tool is a part of my hybris Runtime Developer tools package. 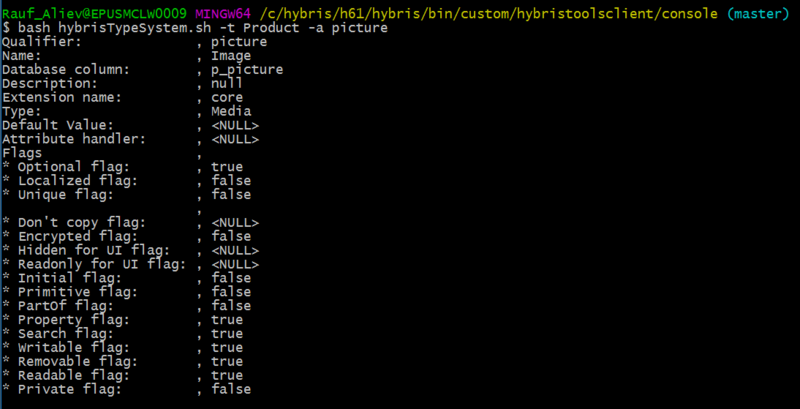 It allows showing one-page all-in-one information about hybris types or the specific type using the command line. It is much faster and more flexible than using hybris administrative console (HAC). Shows the detailed information about the type attribute. –? help, available options. Only for the console version. In a similar way, you can request all the types from all extensions if you omit the extension param.